Polynesian island paradise. 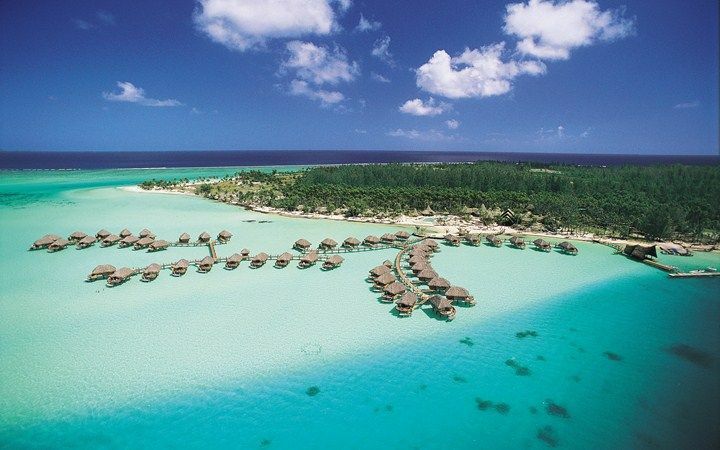 The Bora Bora Pearl Beach Resort & Spa is a luxury resort with thatched-roof bungalows spread out in lush tropical gardens and across the turquoise waters of a calm lagoon. The coral reefs are ideal for snorkeling and scuba diving, and a plethora of other water-related activities like kayaking, outrigger canoeing and catamaran cruises are available. There are 2 on-site restaurants, 2 bars – one poolside and the other on the beach, a tennis court, mini golf course, and spa.